By Joshua Benton @jbenton Feb. 12, 2019, 2:54 p.m.
Now it’s the United Kingdom’s turn. 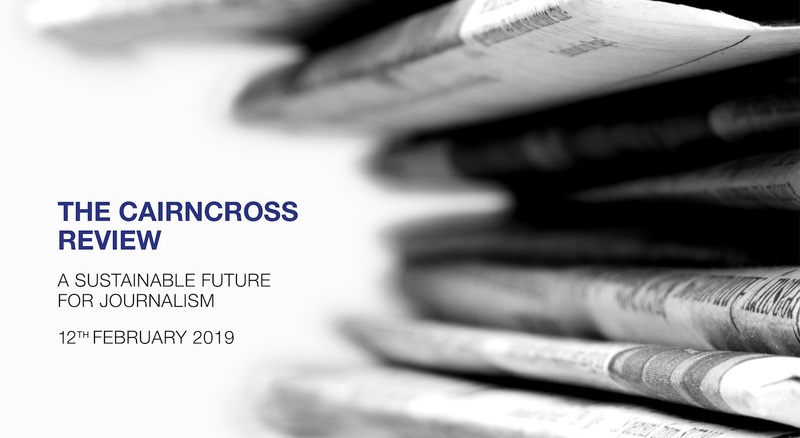 Last year, the Conservative government announced an “independent review into the future of high-quality journalism in the U.K.,” to be led by Dame Frances Cairncross. (Perhaps more important than her damehood were her 30-plus years working in the newsrooms of The Guardian, The Economist, and The Times as both a reporter and editor.) Earlier today, the Cairncross review, as it’s become known, released its findings and recommendations. For those who don’t speak British, Nesta is a government-created “innovation foundation” (“We exist to back innovations for the common good. We balance the distortions that drive too much investment in innovation either to harmful or trivial ends”), and Ofcom is Britain’s chief broadcasting regulator. Benton, Joshua. "A major British government review proposes some light regulation of Google and Facebook (and perhaps new limits on the BBC)." Nieman Journalism Lab. Nieman Foundation for Journalism at Harvard, 12 Feb. 2019. Web. 18 Apr. 2019. Benton, Joshua. "A major British government review proposes some light regulation of Google and Facebook (and perhaps new limits on the BBC)." Nieman Journalism Lab. Last modified February 12, 2019. Accessed April 18, 2019. https://www.niemanlab.org/2019/02/a-major-british-government-review-proposes-some-light-regulation-of-google-and-facebook-and-perhaps-new-limits-on-the-bbc/.